I did not regret spending my time with this book. It was a fun read and I’m sure you’d like it too! Read more to here out my thoughts about this great book! Let me start off by being objective. This book was an enjoyable read. The writing was great and detailed in terms of perspective. I didn’t notice how far I went into a book because of how the words flowed with each other like each word was synchronized with each other. For short, The writing style was pleasant and I loved it! It’s one of the things that you should look forward when reading this book. Additionally, the plot was amazing. There was so much emotional content to it. Big things happened and I was thrown off by the surprises I had never ever EVER expected! The twist was so good and that easily became my favourite part of the book. But of course, you have got to read it to find out about it. Subjectively though, I found it hard to connect with the book in its first half. It took a while but when it did, the tragedy that Ann was going through strongly exudes so much, I could feel the emotions coming out of the screen (I was reading the e-book version). What she struggled emotionally was so deep that it almost drowns her and lets it all out by getting angry. I thought I would hate her, but she was a fragile being, simply trying to be strong in her way and that was something likable about Ann Grey. In the end, I felt so proud of her. The characters in this book may sound cliche but the pain of the character in it is real. This book was a wonderful read and to someone like me who finds it a struggle to understand the emotions of others, this book has served its purpose well. To me, this book is an eye-opener, allowing me to experience what people go through before moving on. 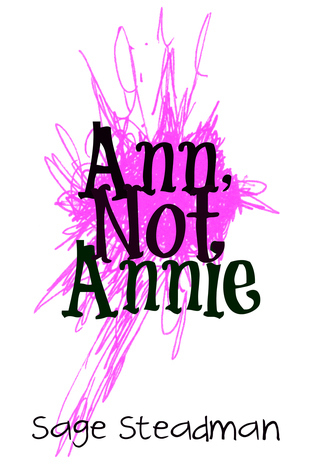 Ann Not Annie is a book about tackling tragedy in one’s life, acknowledging the fact, and realizing that you are not alone in this world. Next Post April 2018 Wrap-Up!